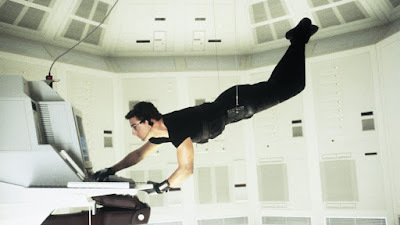 From its stylized audiovisual design to its embrace of digital espionage, Mission: Impossible is more than Tom Cruise's overwhelmingly successful play for summer blockbuster job security. It's also an edgy departure from the TV series on which it was based, and a moody outlier in the bombastic, adrenaline-junkie franchise it spawned. As the latest installment of the M:I series hits theaters, we gather intel on the film that started it all, realizing the most impossible thing about these missions is that no two of them are exactly alike.